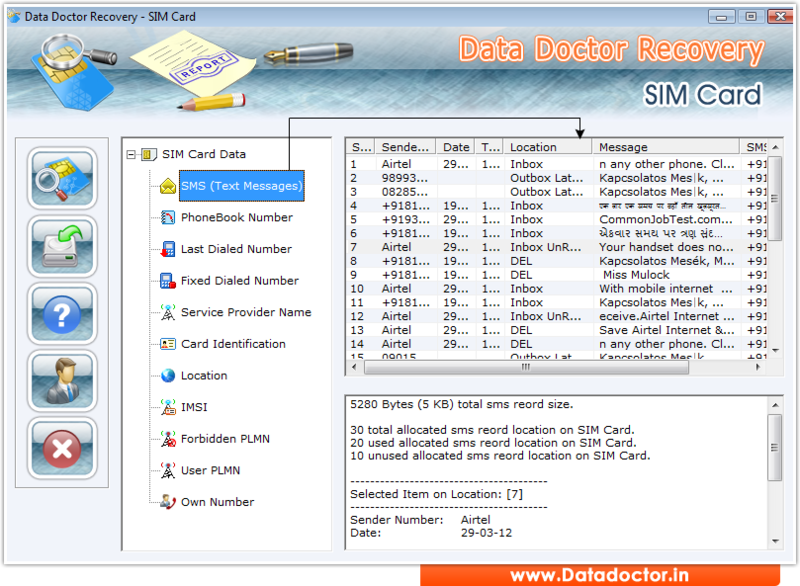 Screenshot shows recovery process of all lost data with SMS location. 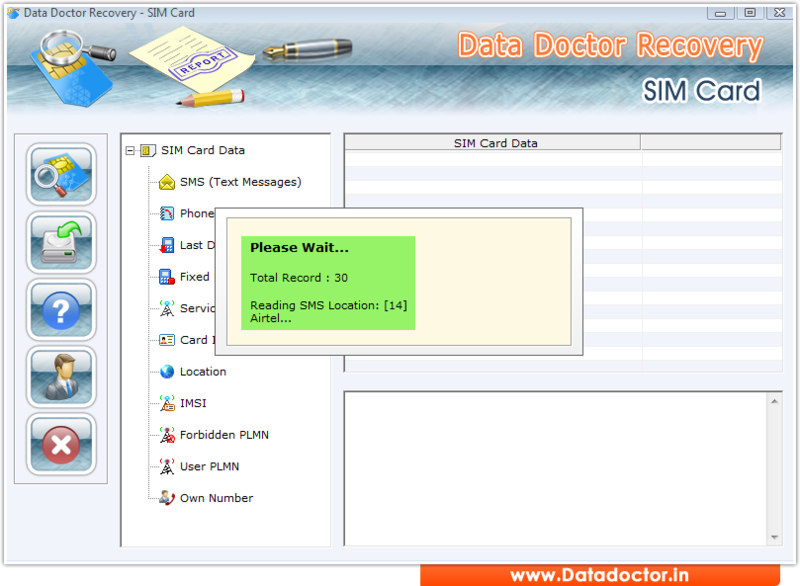 Click on “SMS (Text Messages)” to view all SMS record with location on SIM Card. 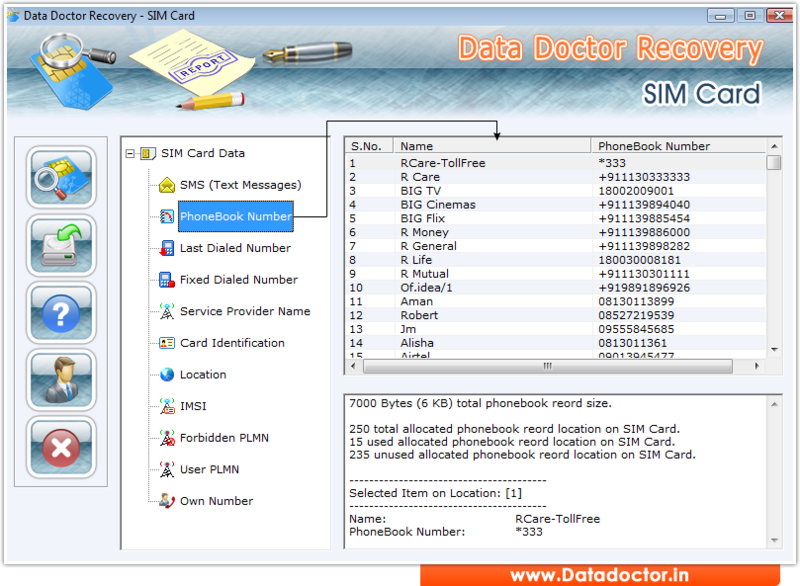 Select “PhoneBook Number” from left side to view all lost phonebook contact numbers with record location on SIM Card.